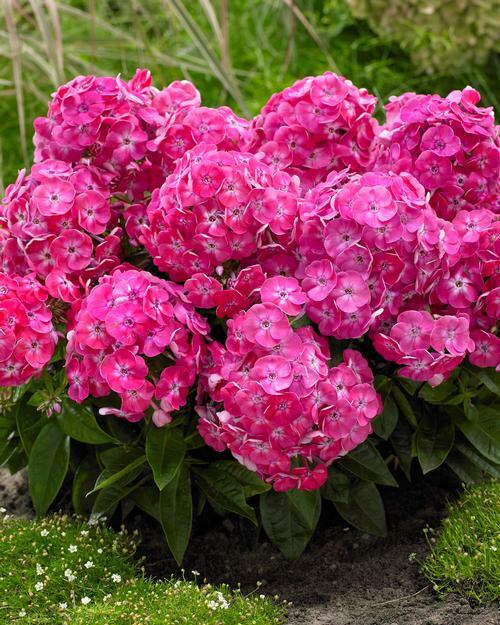 Phlox Sweet Tart is sweet indeed with its dwarf growth habit and bright pink flowers, fragrant and mildew resistant as well, very suitable as a potted plant or for borders. Another classic and popular perennial with many new flower colors. Phlox have an exceptional long bloom time and provide much-needed color in the garden mid-to-late summer. Plant in full sun in areas with good air circulation to prevent mildew.